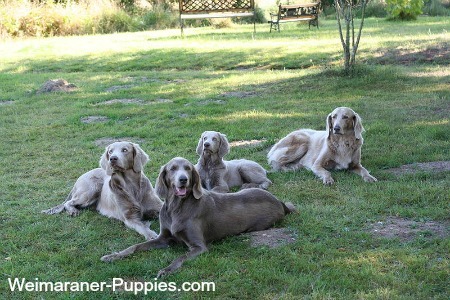 Weimaraner puppies and dogs (Weinheimer dogs for our European visitors) are good hunting dogs and can be great family pets. 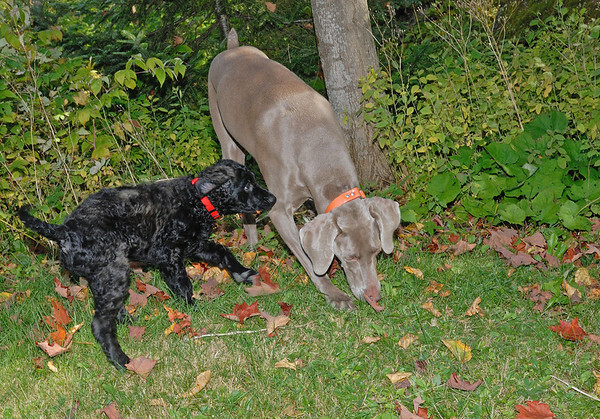 Originally bred for large game hunting, the more recent strains now enjoy rabbit hunting and bird hunting and they are dependable hunting companions. 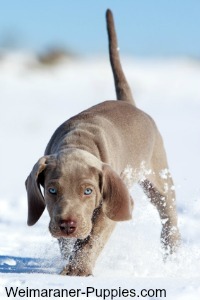 The Weimaraner dog breed is energetic, intelligent and affectionate. They love to be outdoors, and they require lots of exercise and movement. Perfect for some people…but not for others. 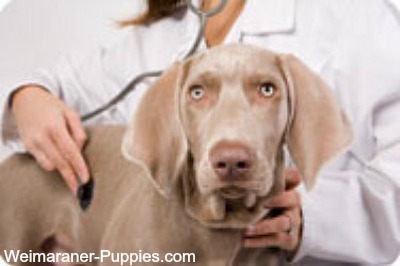 Is the Weimaraner the Best Dog for You? 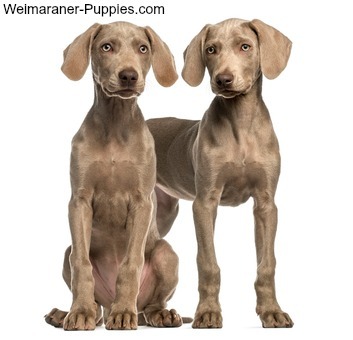 These cute Weimaraner puppies are 2.5 months old. 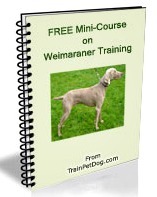 Whether you’re shopping around for Weimaraner puppies or if you’ve already got a house full of Weimaraner dogs, this is the place for you! 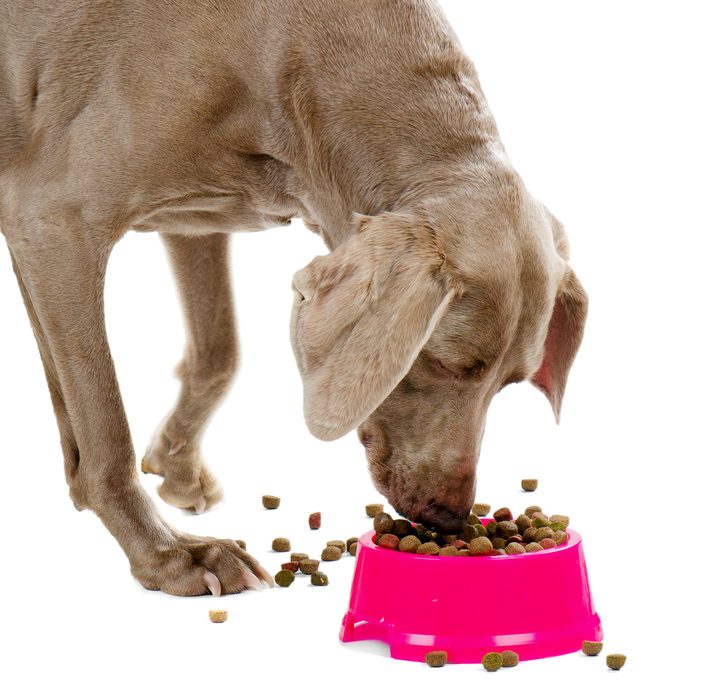 We’ll give you ideas on how to travel with a large dog, games to play with your Weinheimer, and advice on how to get your dog trained so that you can have years of fun together! 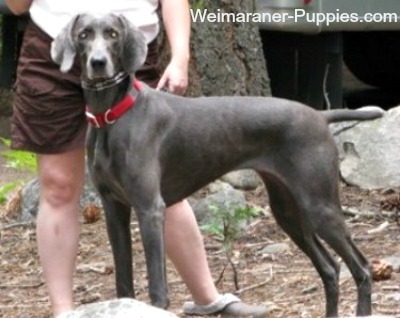 Weimaraners are Fun-loving Dogs that Love to Play! 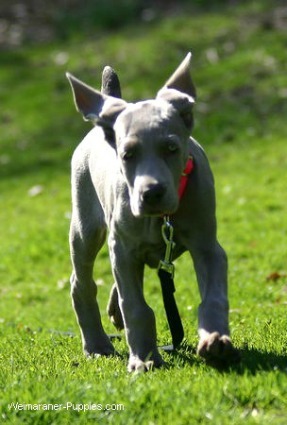 Weimaraners are also like big emotional teddy bears, too. They love people, are very protective of their family, and they are loving and sensitive. 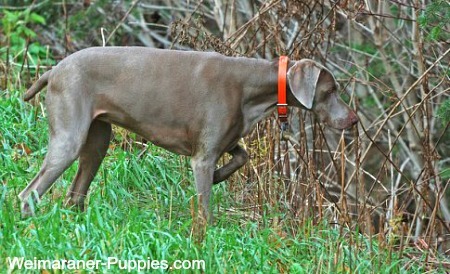 Even at this young age, Weimaraner puppies love to play outdoors! This is not a dog that you put outside in a dog house, nor one that you leave alone for long periods of time. 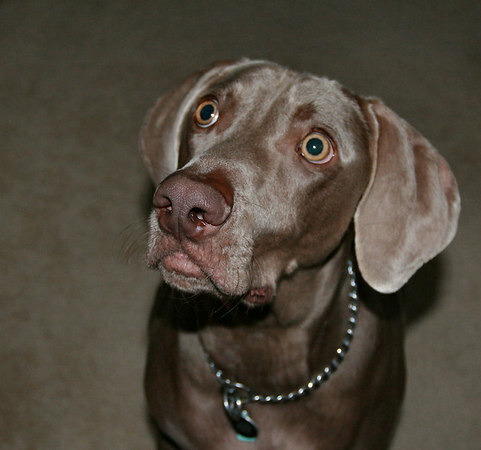 Weimaraners get lonely and are prone to separation anxiety. 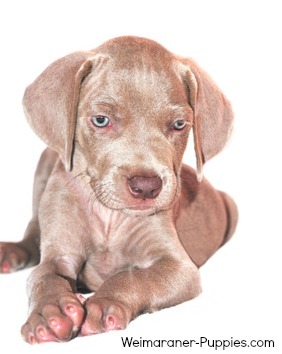 Unfortunately Weimaraner puppies and dogs are often put up for adoption or end up in a rescue shelter, simply because their owners didn’t think things through before getting them. Or their owners don’t have the time required to properly take care of these magnificent animals. Or train them. However, if you are an active person who loves to be on the go and enjoy the outdoors, a Weinheimer might just be the right dog for you! Take your time, and enjoy the site. 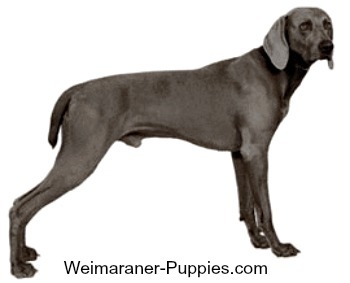 Bookmark the site (Ctrl + D) and visit us often, as we’ll be adding more information and Weimaraner pictures from time to time. 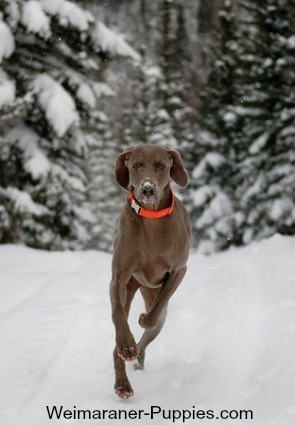 And, if you have a Weim, send me a picture or two and a story about your dog. We all love to see other people’s puppies and dogs. Who knows? 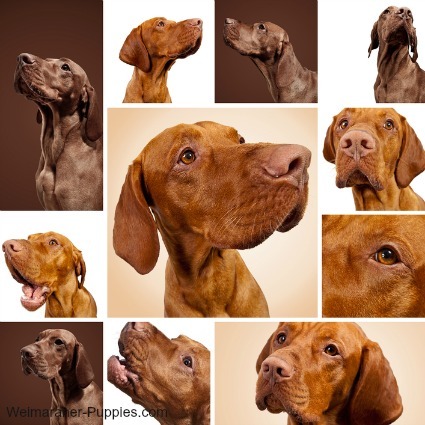 Your favorite dog might just be the one that steals the show!